While this piece of salmon may look like the start of a perfect dinner, you are more likely to end up sleeping with it than eatting it… I hope. 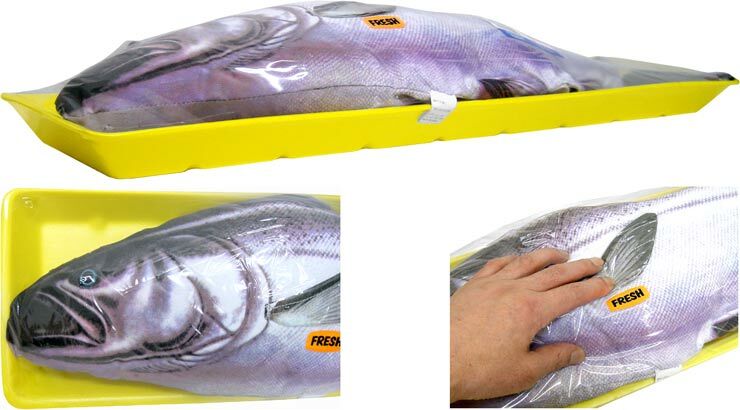 This amazing replica salmon is actually a pillow. You can get your own from Rakuten for only 2,500 yen ($23). The attention to detail is pretty good, and even comes wrapped in plastic as if you just bought it from the local supermarket. Great gift for the fisherman/woman in your life.